Civic leaders have cut the ribbon on the commencement of work on one of the most ambitious and extensive regeneration projects along London’s waterside at Brentford. Ballymore’s long-awaited Brentford Waterside regeneration scheme between the High Street and the River Brent will bring almost 900 homes, more than 25,000 sq m of commercial space, a new public square and better waterside connections, reinstating historic yards. The Thames Path will also be extended along the waterfront with improved waterside infrastructure and permanent boat moorings. “Regenerating the High Street and restoring access to the waterside will contribute positively to the identity of Brentford, enhancing civic pride and cultural opportunities. 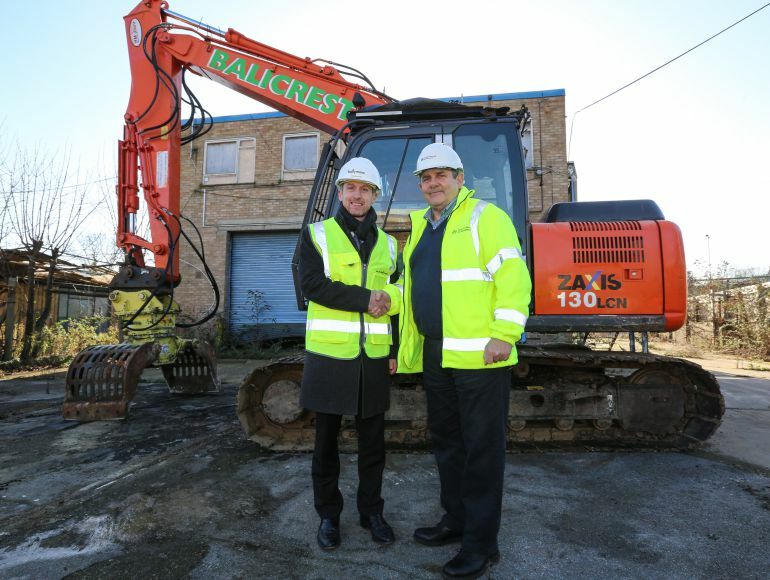 The event coincided with an announcement by the Secretary of State for Housing, Communities and Local Government, confirming a Compulsory Purchase Order (CPO) for the planned regeneration of the area. Ballymore’s managing director John Mulryan said: “We are delighted to have made progress and commenced these works at Brentford Waterside. We know that there has been much anticipation locally around the scheme. Also attending the ceremony were Hounslow’s Cabinet Member for Housing, Cllr Katherine Dune, Cabinet Member for Finance and Citizen Engagement, Cllr Theo Dennison, ward councillors Mel Collins and Guy Lambert, as well as John Mulryan and the company’s development manager for the scheme Ed Heppenstall. 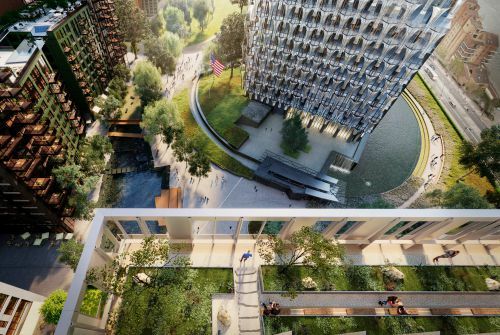 The flagship office building at Embassy Gardens in Nine Elms, neighbouring the new US Embassy and the ‘tech clustering’ at Apple’s new London campus at Battersea Power Station has gone on sale.